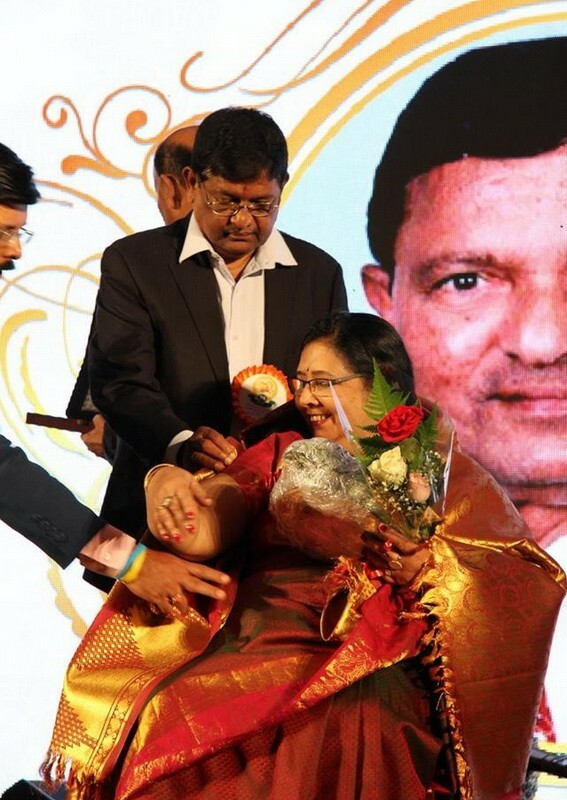 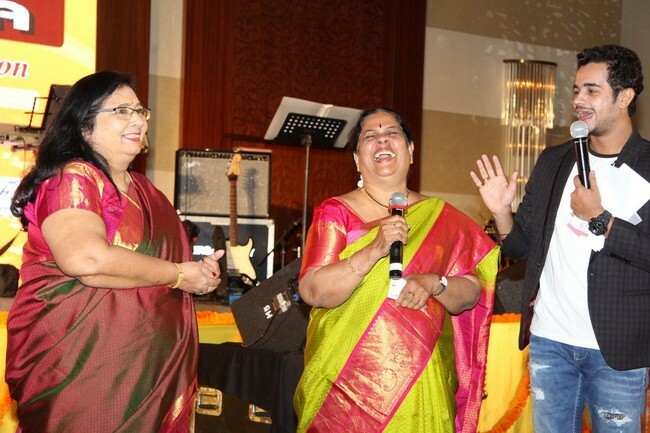 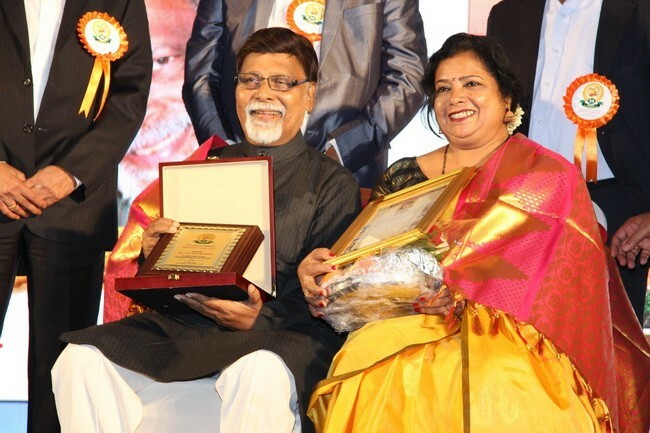 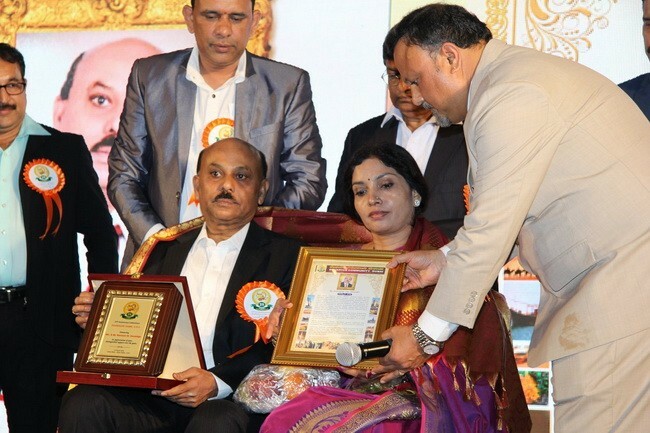 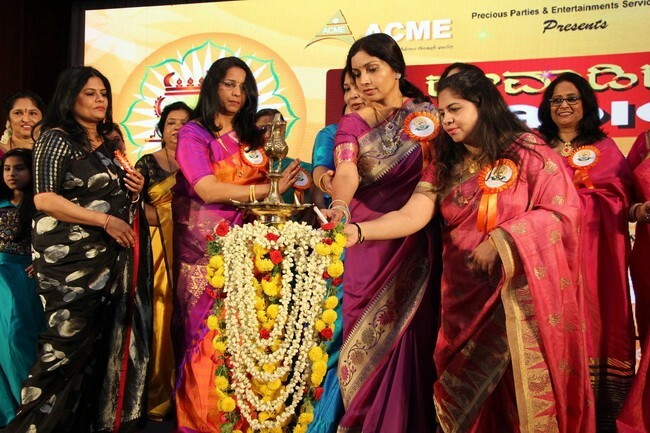 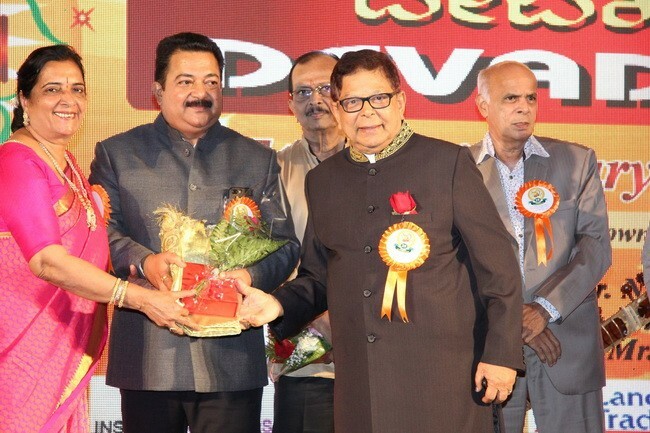 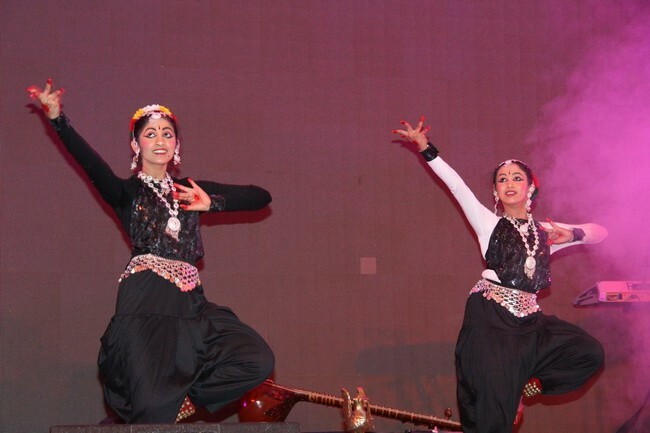 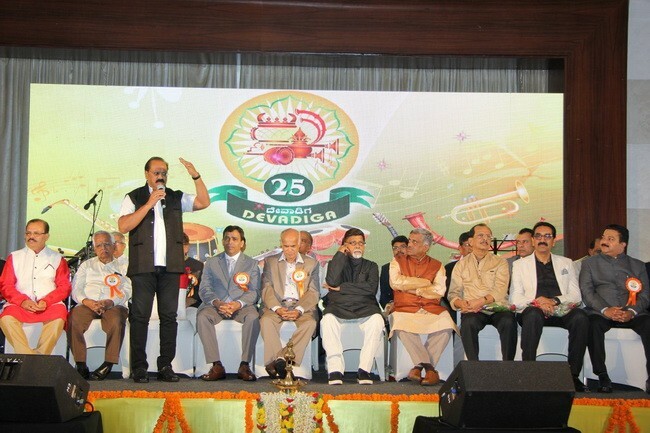 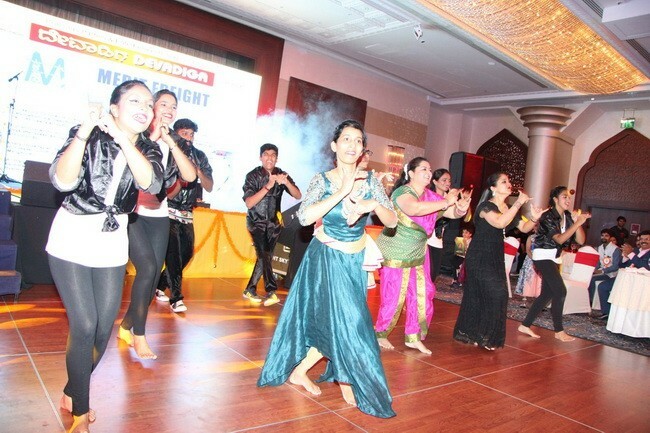 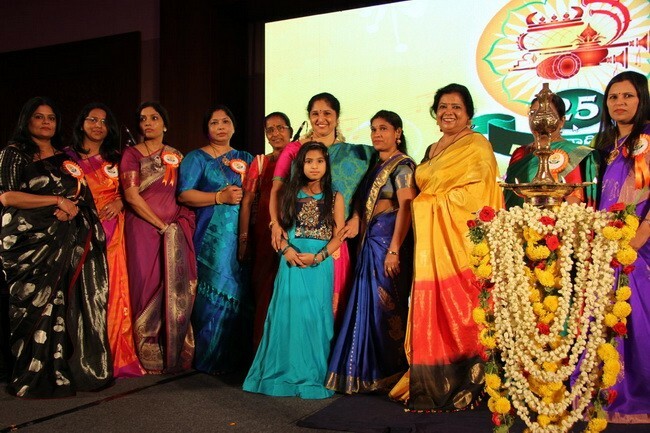 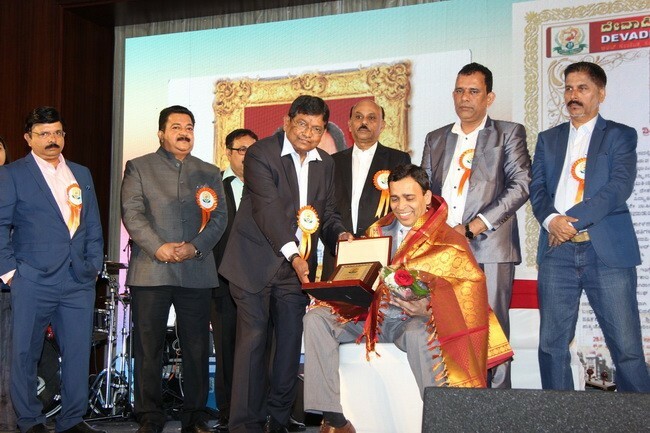 Dubai: Devadiga Sangha Dubai (Devadiga Dubai) celebrated its 25th anniversary with pomp & gaiety on 27th April 2018 at Crowne Plaza Hotel. 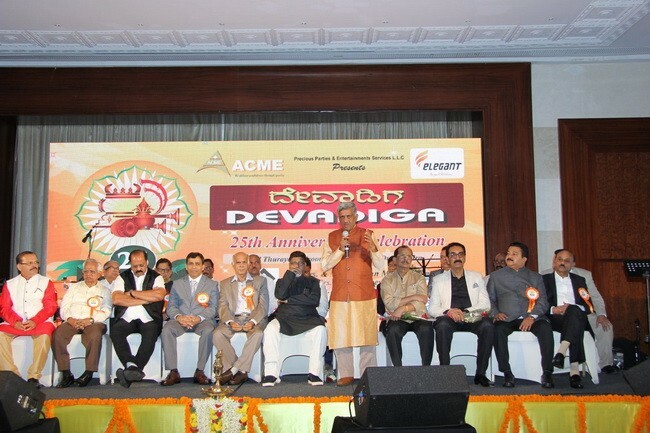 Devadiga folks from different parts of India & US flew to attend this programme along with local Devadigacommunity. 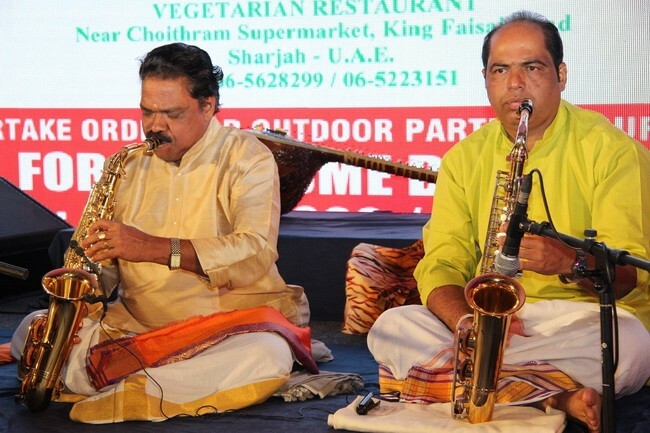 The event started with Prayer Dance and SAXOPHONE RECITAL by special invitees HARIDAS DOGRA & TEAMs, was note worthy. 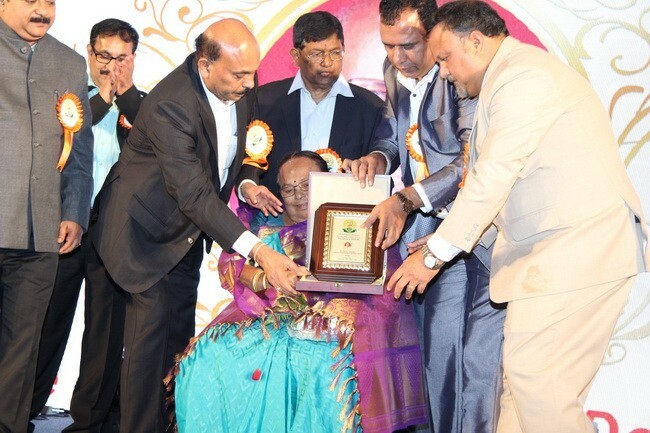 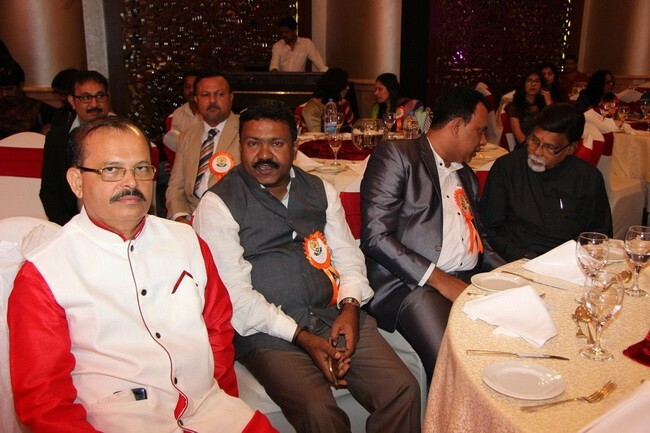 Presence of Honorary & distinguished Guests of Dubai namely PADMASHREE DR. B.R. 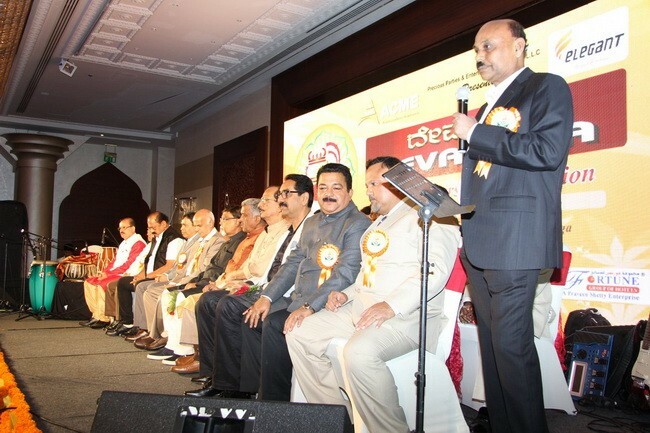 SHETTY, SARVOTTAM SHETTY, SUDEER SHETTY, PRAVIN SHETTY, GANESH RAI, SATHISH POOJARY, RAMACHANDRA HEGDE, MRS. & MR. B.K. 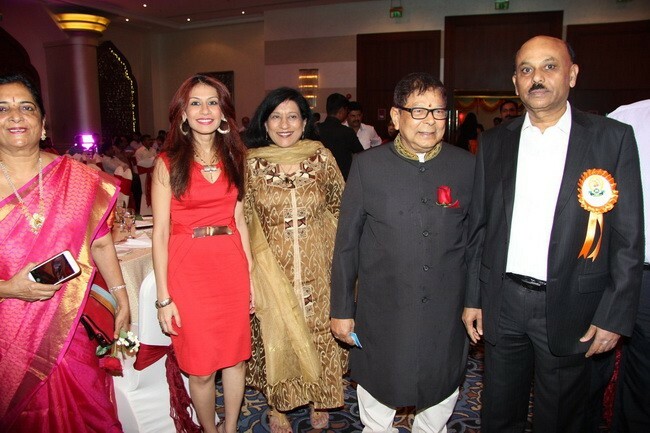 MADHUR added glory to the function. 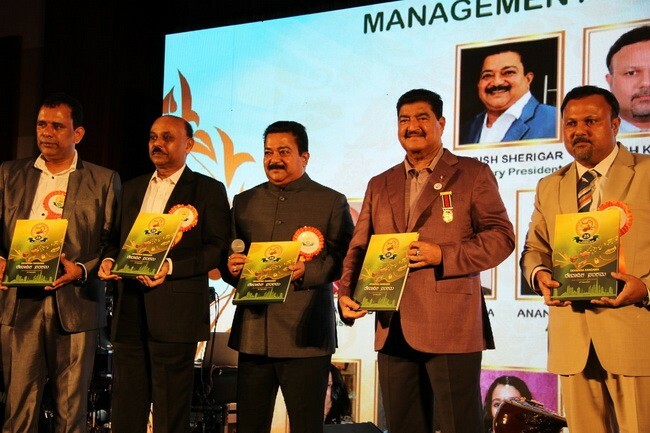 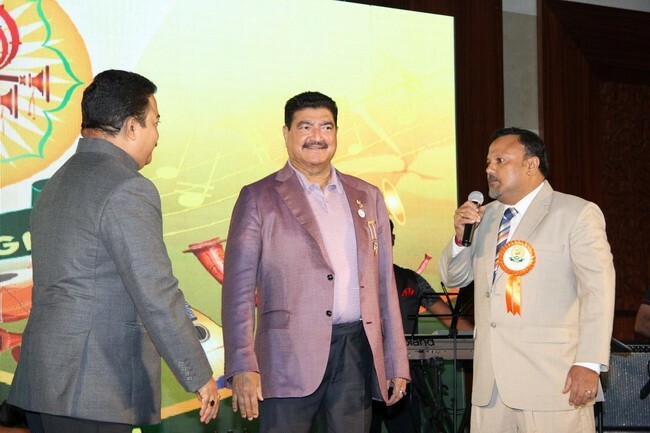 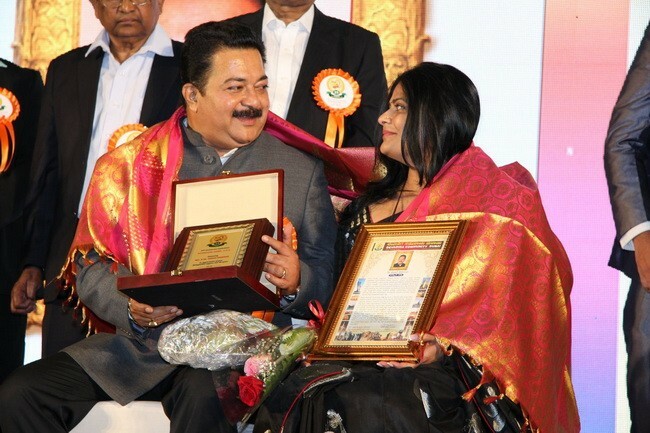 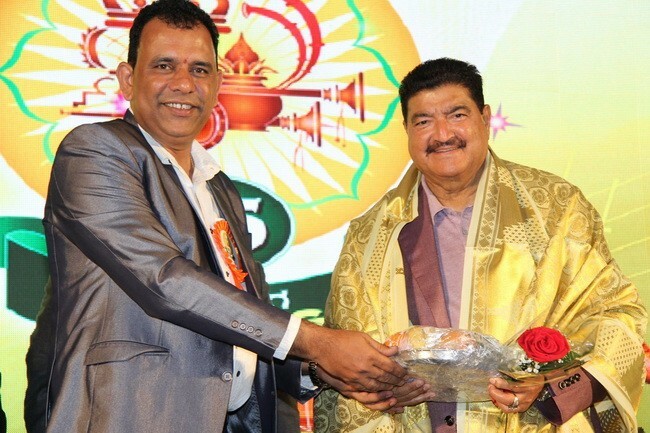 Tto commemorate the events of the past 25 years a Souvenir of the Sangha was released by Padmshree Dr.B.R.Shetty. 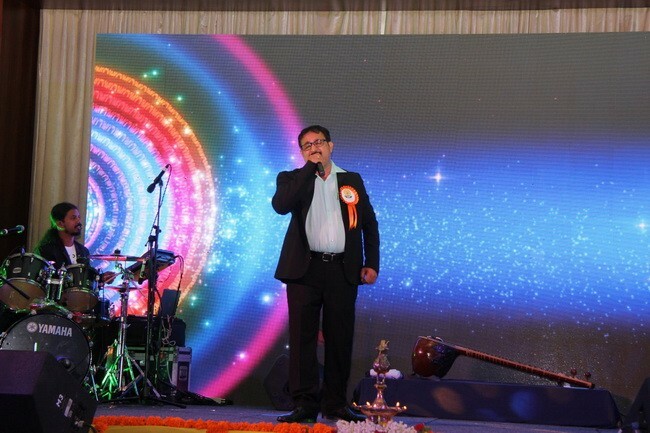 Compere turned film actors NIMIKA RATNAKAR & VJ VINEETH who were specially Flown from India added colors & glitter to the event with theri houmourous and giggling conversations. 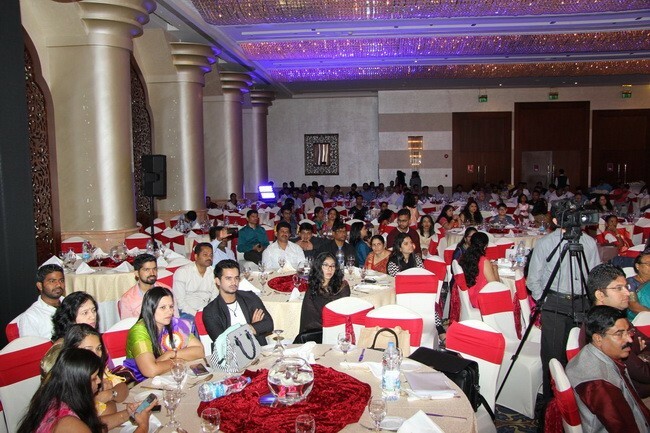 They performed very well with their articulate & witty announcements throughout the program. 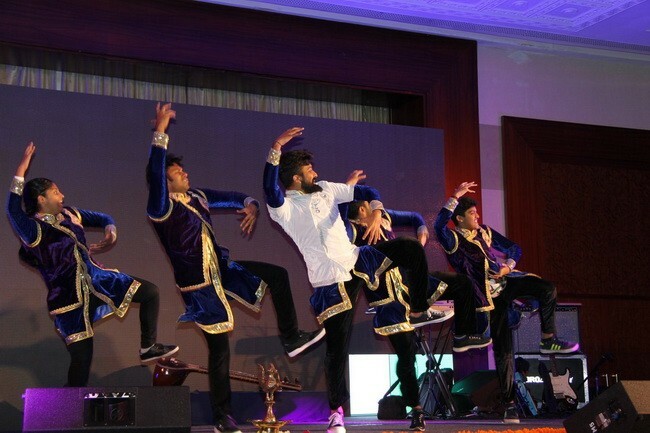 Scintillating dance numbers by PRASANNA KUMAR’S JUST DANCE & SYMPHONY SHARJAH; RAJGOPAL & TEAMs LIVE ORCHESTRA, And Singers of our COMMUNITY entertained the audince. 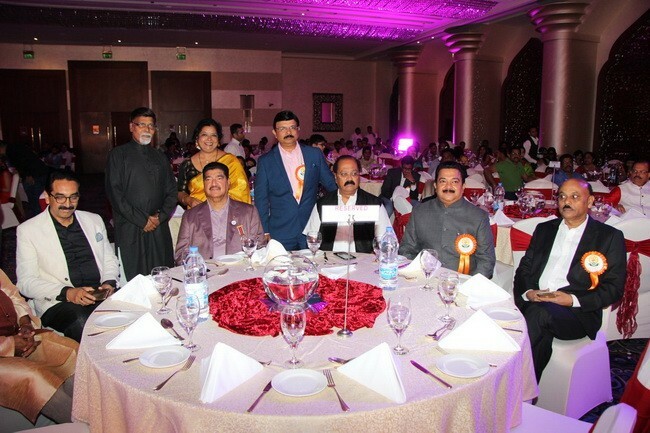 As a mark of respect & recognition on its 25th anniversary celebration, devadiga sangha Dubai felicitated the following dignitaries who are active members of the of the sangha since its inception1992. 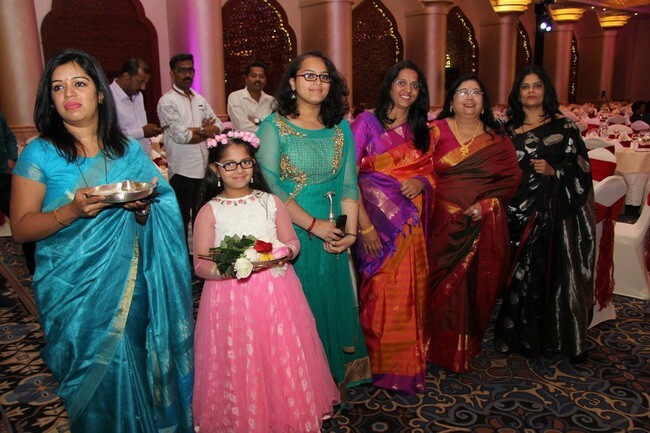 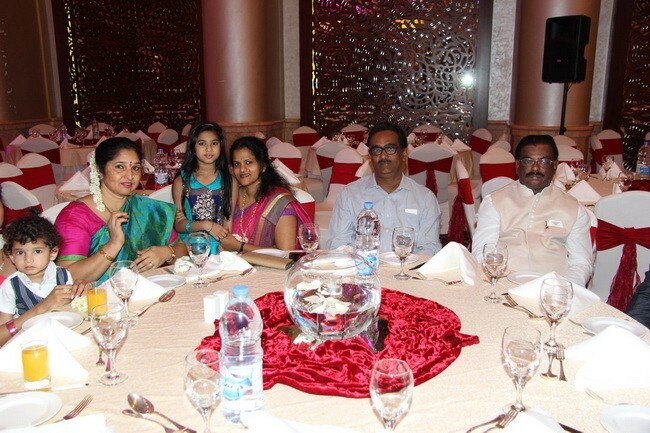 Dubai Community elders Mrs & Mr. Dinakar Attavar, Mrs & Mr.B.G.Mohandas, Mrs. & Mr.Ramesh Devadiga were joined by other Invitees who are well-wishers Viz. 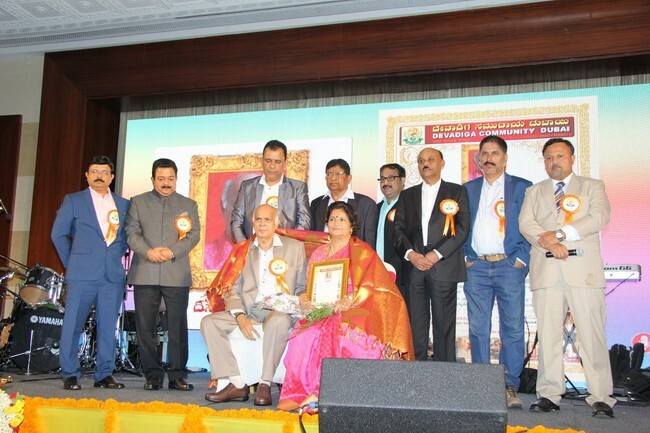 Mrs. & Mr.Vaman Maroly, Mrs. & Mr.Dinesh Kadri, Mrs. & Mr.Gopal Moily, Mrs. & Mr.Vasu Devadiga, Mrs. & MrSubba devadiga, Mr.Bhaskar Sherigar, Mr.H.Mohandas, Mr.Annayya Sherigar, Mr.Ravi Devadiga, Mr.Janardhan Devadiga arrived from India as Guests. 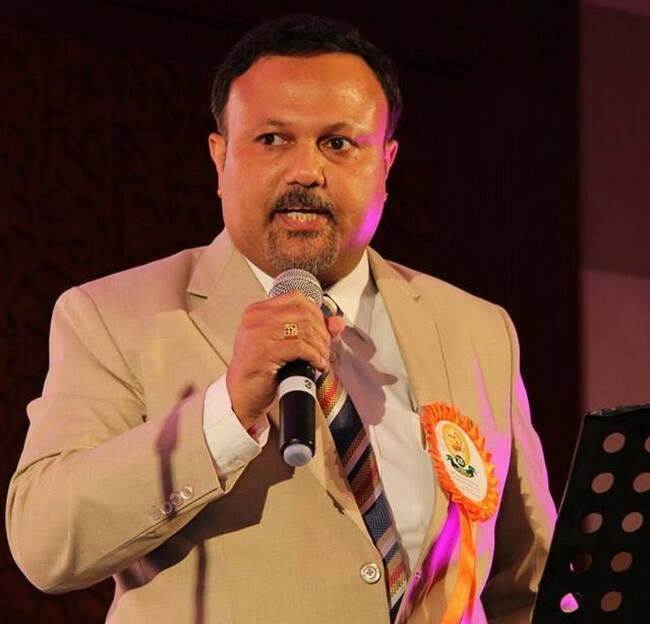 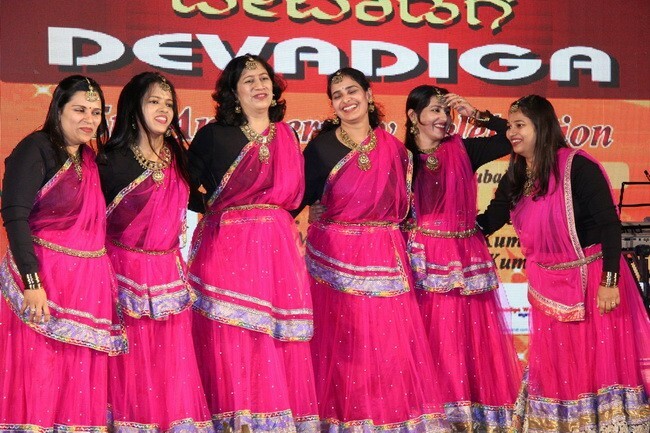 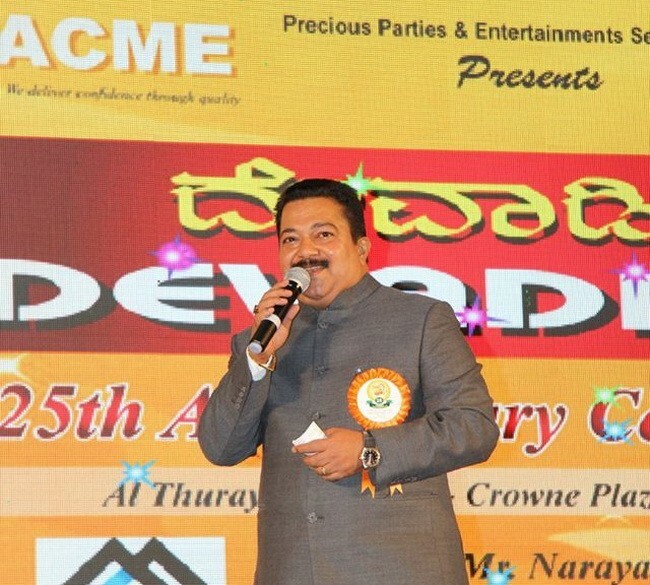 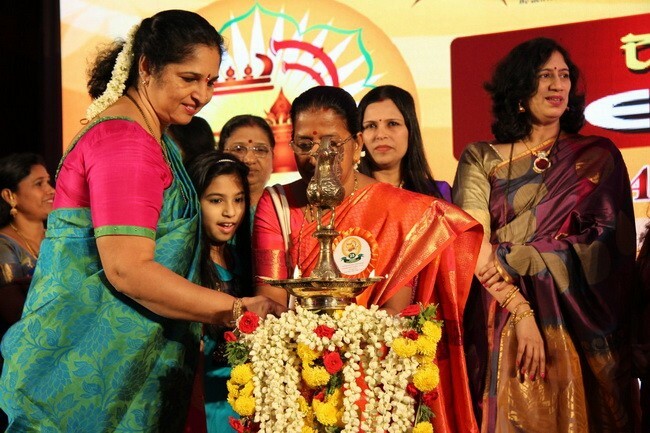 DEVADIGAS DUBAI, UAE formed primarily in 1992 is a platform to unite the community members, share & nurture the ancient values of culture and traditional values. 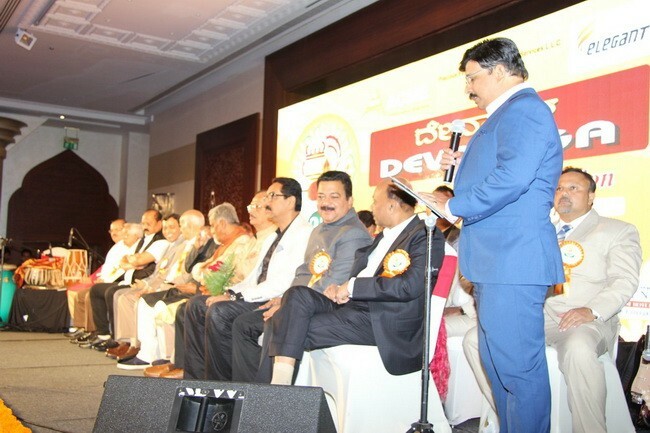 The Education Fund was the first one formed for the less fortunate children which started with an amount of 65,000 IRS in the very first meeting and now has grown to over 6lakhs plus.Under KRDS , Mangalore, more than thousand financially needy students and achievers have availed the opportunity to study in their chosen fields. 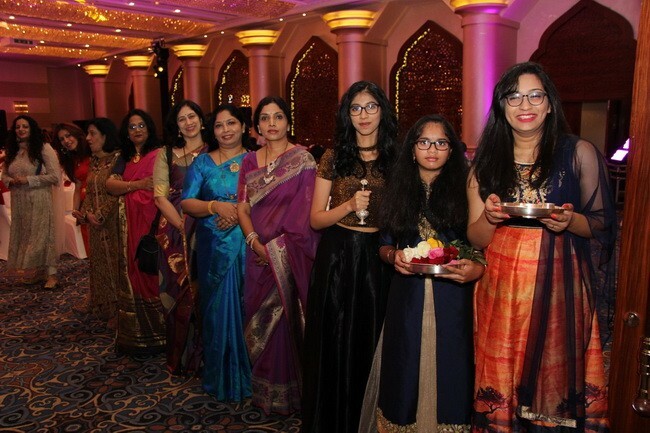 Each year we contribute to this fund from the donations received from members & sponsors so as to help more and more students under the umbrella of this Scholarship Fund. 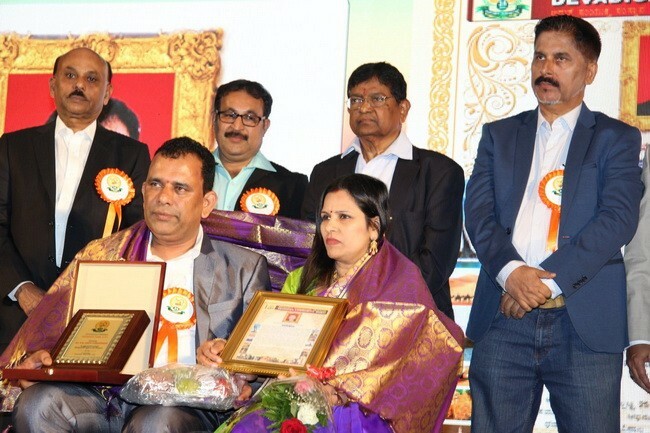 This is done through fund raising programs held every year where our members meet and exhibit their talent, build comradeship among the fellow folks who are far away from home & family.This also gives us opportunity to invite dignitaries, achievers from our community back home who have excelled in various fields and felicitate them. 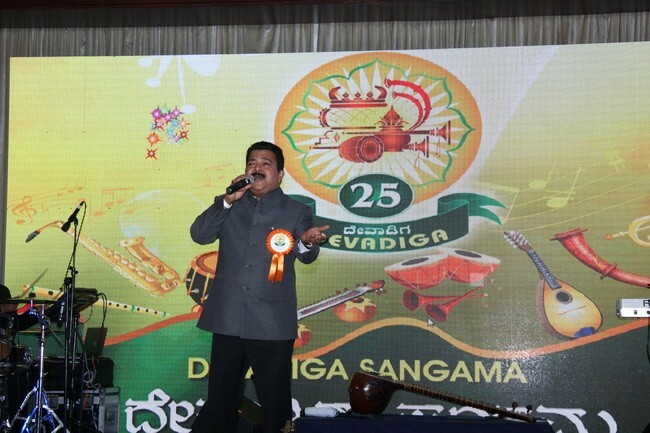 Over the years, we have invited Dr. M. VeerappaMoily, Saxophonist MoodbidriGopalakrishna Devadiga, Indian Kabaddi star Rishank Devadiga, Dr. K.V. 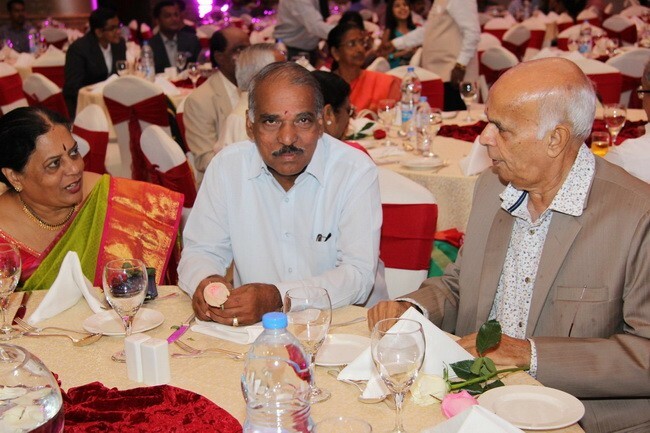 Devadiga, Dr. Devaraj Kankanady, Prof. B.S. 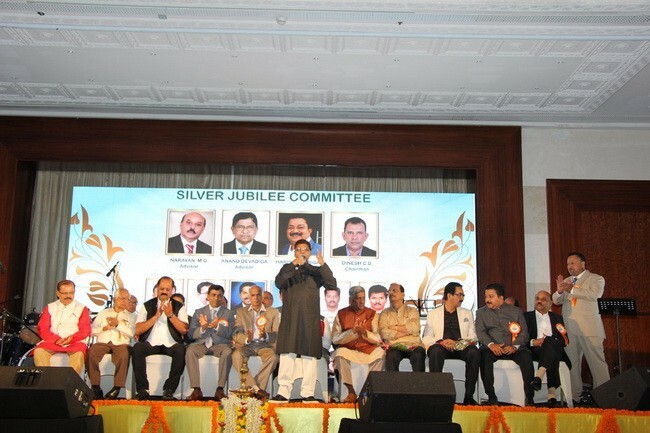 Sherigara, Mr. Dharmapal Depadiga, Mr. Gopal Moily, Mr. H. Mohandas, Mr. Dinesh Kadri, Mr. Vaman Maroly to name a few.. 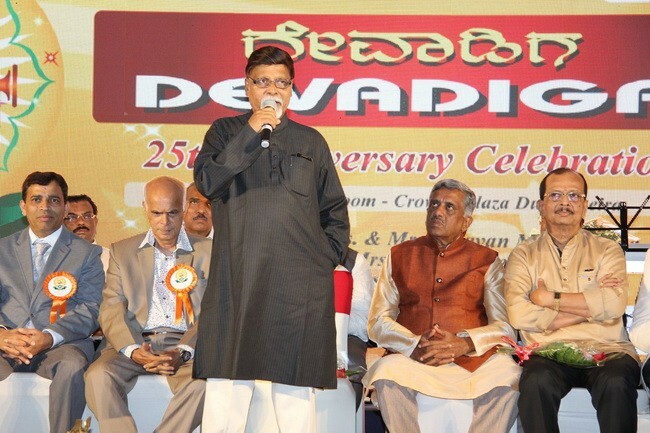 Founder members who initiated the formation were Late Muchur Sundar Devadiga along with Late Sanjay Devadiga & Mr. B.G. 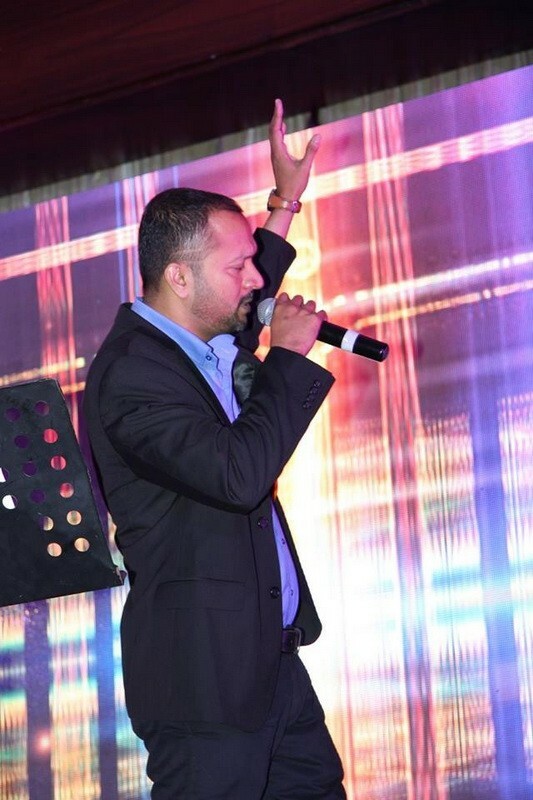 Mohandas. 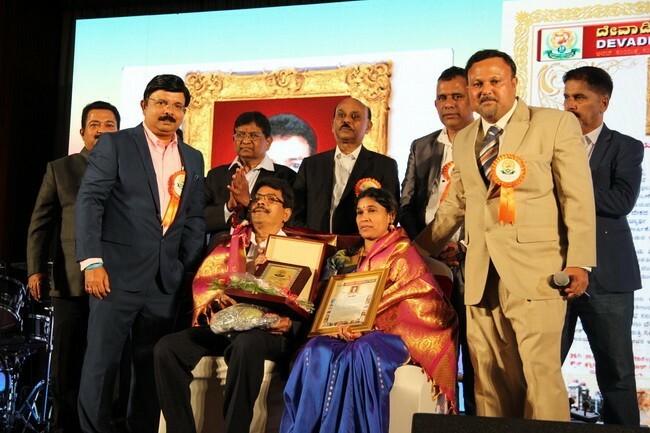 Later Mrs. Padmavally Sanjay, Mrs. & Mr. DinakarAttavar, Mrs. & Mr. Harischandra Devadiga, Mrs. & Mr. Anand Devadiga, Mrs. & Mr. Narayan Devadiga, P. ShekarMoily, Prabhakar Devadiga and many others ably and strongly guided and supported the then Devadiga Koota. 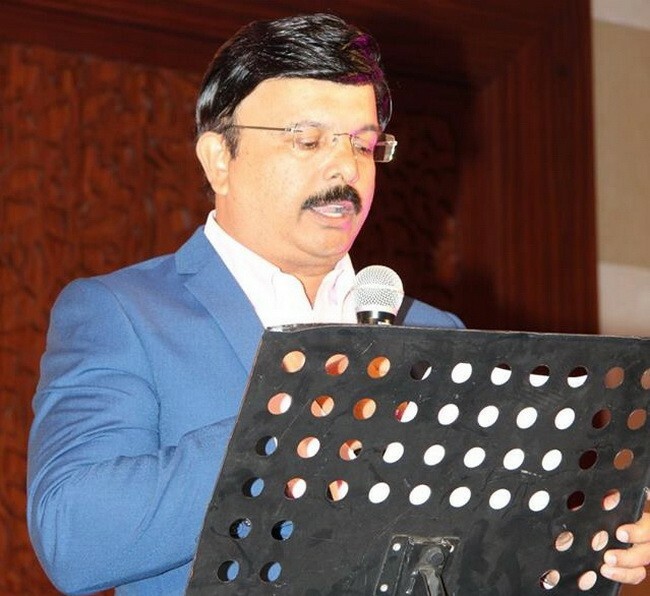 As the membership increased; It moved from residences to the hotels in 2012 when we decided to form a committee under the leader ship of Mr. Harish Sherigar. 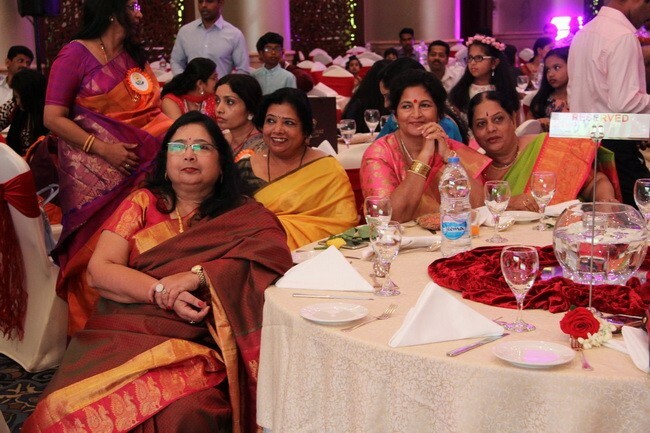 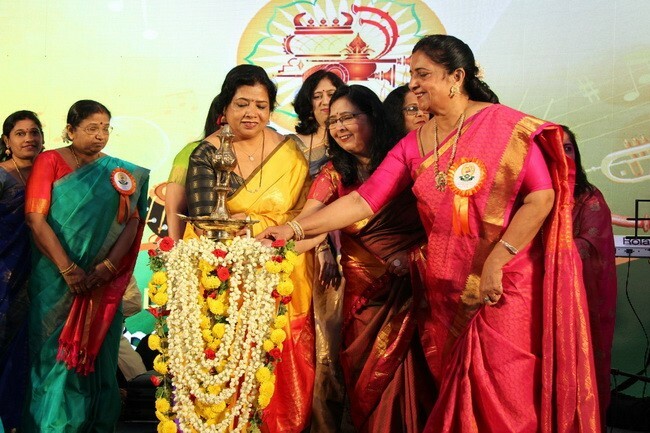 Mrs.SharmilaSherigar ably supported and got the ladies together to form the Ladies wing supported by senior community ladies who in turn were the back bone of our community. 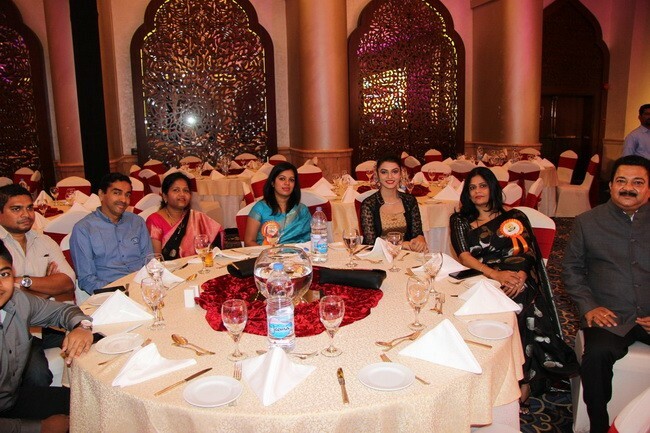 In the Emirates we are proud to say that we are one of the oldest community organizations. 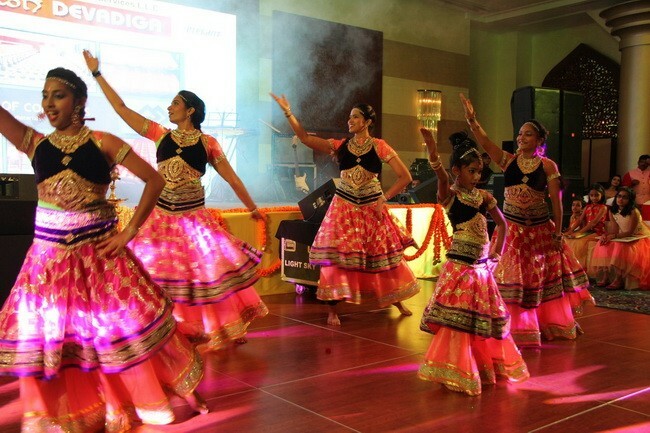 Community members who just arrive on visit visas help and support is extended. 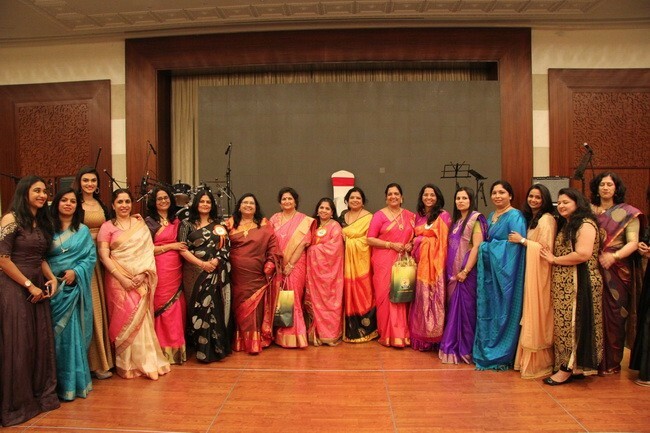 Apart from annual events, we do fund raising events, join blood donation campaigns, cookery competitions and conduct picnics where in all the members & new members assemble and share their time, get to know & celebrate the occasions.